Finding your perfect spot in paradise can seem impossible, but not at the Marriott Oceana Palms. Browse affordable timeshare resales and rentals and save up to 70% today. The endless sun and sand of Riviera Beach is front and center at Marriott's Oceana Palms resort. Perfectly located on Singer Island, the two towers of the Oceana Palms stand high above the golden shores that lay just beyond the resort's grounds, offering a one-of-a-kind oceanfront vacation. Complete with a gorgeous swimming pool with built-in fountains and magnificent grounds with a courtyard, you'll sink right into your luxurious tropical surroundings as soon as you arrive. 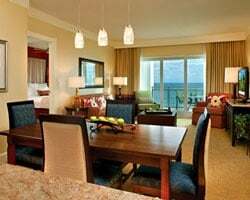 The timeshare suites at the Marriott Oceana Palms take the form of spectacular two bedroom suites with marvelous ocean views. 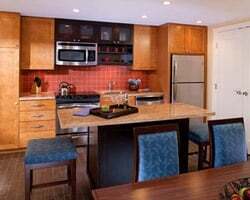 Perfect for families or groups of up to six, the homelike villas at the Oceana Palms feature updated furnishings and fresh Floridian decor designed to get you into the vacation spirit. Enjoy desirable amenities like furnished patios with views of the sea, full kitchens, marble bathrooms, and even your own washer and dryer. With so much convenience combined with comfort, you'll want to keep coming back to the Oceana Palms year after year. 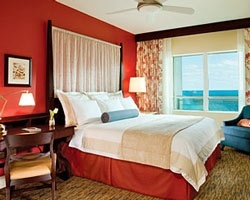 Are you ready to find your dream accommodations at the Marriott Oceana Palms? Fill out the form on this page to learn more about ownership options at the resort, or call a representative at 1-877-815-4227. Buying a timeshare resale at the Marriott Oceana Palms Singer Island will give you years of guaranteed luxury accommodations in Florida for a fraction of the cost. Because timeshare resales are offered for sale by current owners instead of the resort itself, vacationers like you can often find long-term solutions for thousands less. Resales are often priced up to 70% less than their retail value, meaning you'll be getting the deal of a lifetime on the perfect beachfront accommodations. Resales at the resort are available in deeded fixed and floating weeks throughout the calendar year, falling within Marriott's Gold and Platinum seasons. You'll find completely customizable options on the secondary market, allowing you to find the specific season, unit size, and price point you want to get the perfect timeshare. What's more, the vacation perks won't stop there, as you could have access to some of the best ownership benefits from the Marriott Vacation Club as a resale owner. The Oceana Palms resort is affiliated with Marriott Vacation Club, one of the world's most popular vacation ownership brands. Resale owners at the Oceana Palms can make reservations at the resort using their deeded resale week, but more opportunities to heighten your overall vacation experience lies within upgrading your ownership. Converting your deeded week to Marriott Vacation Club Destinations points can result in a more flexible points-based ownership style, as well as other vacation possibilities. You can use Destinations points to reserve accommodations at other Marriott resorts around the globe, earning greater rewards and more fulfilling trips. The Marriott Oceana Palms Florida is also an Interval International affiliate. Exchanging your timeshare is a great way to make the most of your resale ownership and use it to gain new experiences. As an Interval member, you can deposit your accommodations in Florida and book stays at other affiliated resorts around the globe. What's more, the Oceana Palms has earned the Elite resort rating from Interval, noting its superior accommodations and services. As an owner at an Elite property, you'll likely be able to exchange for other Elite-level accommodations of similar quality and standards. This highly-rated resort does not skimp on the fantastic amenities and services typical of a Palm Beach-area property. You'll find two outdoor swimming pools expertly-designed with fountains and beautiful palms, as well as a whirlpool spa. The beachfront location promises instant access to all the sun and surf you could possibly want, with endless opportunities to paddleboard, wakeboard, or simple catch some rays. The Reflections Bar & Grill offers up some exquisite dining options, while The Bistro is great for snacks and smaller refreshments. Nearby, the Palm Beach area is rife with fun activities and endless fun in the sun. Head to West Palm Beach to discover thrilling nightlife and boutique shopping unlike any other. Visit the Palm Beach Zoo for family-friendly fun, or check out the Norton Museum of Art to gain a distinct cultural experience. Golfers will love the area courses, offering beautiful greens swaying with perfect palm trees. Tee off at the West Palm Beach Golf Course or the PGA National Estates Golf Course. Those with their sea legs will relish the chance to set sail on the warm Atlantic waters, with ample opportunities for afternoon cruises or deep sea fishing adventures. 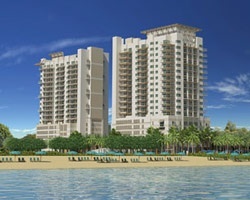 Already Own at Marriott’s Oceana Palms?